While Cleveland has its share of good quality restaurants. I always patronized establishments where either I am familiar with the food or the atmosphere. I will be stepping out of my comfort zone alot this year in many areas of my life (which is scary). But, one of them will be trying new food by exploring the city of Cleveland looking for new places to dine. Which I am excited about. I am kind of a work horse and this would also be a good opportunity to spend some much needed quality time with family, friends, and a few dates along the way! So as I was discussing this with my friend Kyle, and he mention I should try Cleveland Chop. I knew exactly where he was talking about, because I recall seeing the sign as I passed through Downtown Cleveland. So I figured no time better than the present to go. So here are my thoughts. I’m no expert or a food critic. But I do know what good food and service is. So let’s talk about Cleveland Chop! Spring is finally here! Well according to the astronomical calendar anyway. I say this because when I look outside of my window, I’m seeing snow on the ground, and feeling 32 degree temperatures. But Its Cleveland and this is the norm. What that also means, is that 90% of the time the snow and frigid temps will making an exit soon. None the less I am happy Spring has arrived. I can now come out of hibernation and start to put away the heavy winter coat, hat, gloves and Ugg boots. Not today, but I am seeing the light at the end of the tunnel. My scarves will be sticking around though the season. The transition of seasons is tricky and I am not trying to get sick. So I will continue to protect the neck. Im looking forward to revamping the closets with gorgeous fabrics and unexpected cuts. I will be breaking out the pretty pastels, floral prints, flowing dresses and skirts, and wearing my favorite floral scent. YES! I am a little excited.. Are you? I can’t wait to see the flowers bloom and sleeping through some April showers. I love thunderstorms, its my zen! It is also time to start the transition of my beauty routines. Since the harsh cold air is going away soon, my skin and hair will need some different kind of love, so my regimen will be changing and I will be sharing those details. 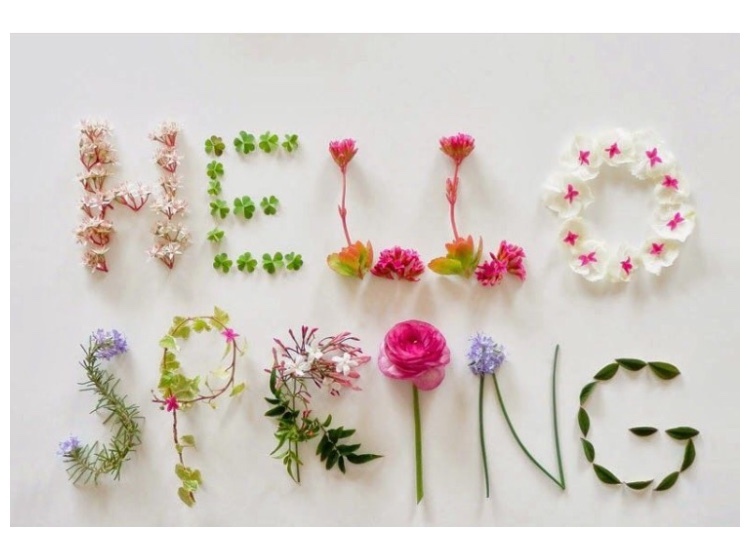 So, tell me why is Spring your favorite season? If not Spring which one and why?